One of our travelers, Deborah, recently went on our Kenya Safari Express small group tour. When she returned, she shared with us her incredible story–along with some awesome photos! Africa had been on her bucket list for decades and we are so humbled to play a small role in her unforgettable experience in this amazing country! It’s 6 am three days before Thanksgiving, and my husband and I are sitting in a small airport café in Frankfurt, Germany sipping coffee while we wait for our next flight. While there, a couple from Texas sat down next to us to chat. As with any airport conversation, the ‘where are you going’ question popped up, and I excitedly said – Kenya on safari! After a split second of stunned silence, the woman said “I wasn’t expecting that”…to be quite frank, I wasn’t expecting it either. Africa has been at the top of my bucket list for over 30 years. My master bedroom has an African theme, and I always watch NatGeo hoping to see another lion, cheetah, leopard — you name it, I want to see it. I wouldn’t say I’m obsessed with Africa, but I know one thing, I was not going to leave this life without stepping foot on the vast African savannah and seeing these incredible creatures with my own eyes. It was time to scratch this off my bucket list. Every traveler has a bucket list, and here’s a destination that should be on yours: Kenya. Kenya, located in the heart of East Africa, is the perfect destination for any traveler searching for adventure off the beaten path and looking to experience nature as it has remained for thousands of years. 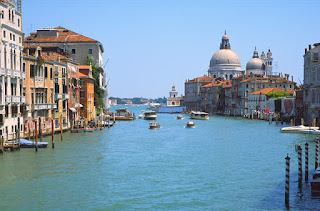 Yet, the destination is very accessible and safe for travelers young to old. To whet your appetite, take a look at this video to see just some of things you can do, people you can meet, and experiences you can have if you visit Kenya. Can’t you see yourself here? Whether it’s your dream to see Africa’s Big Five game or sweeping vistas, Kenya is truly different from anything else you’ve experienced. If you’ve decided to take the trip but don’t know what to include in your itinerary, here are five can’t-miss activities in Kenya, some of which are covered in the video. 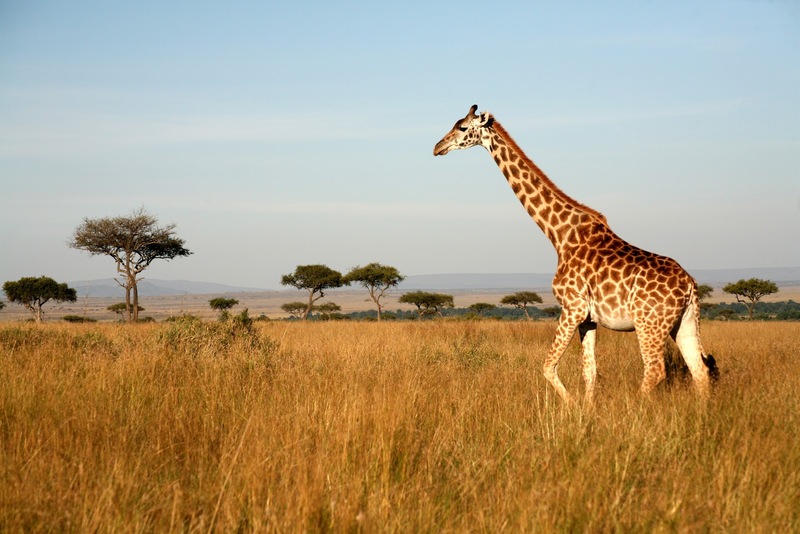 Go on a safari: Kenya is known as the safari capital of Africa. Safari translates to “journey” in Swahili, and that’s exactly what you’ll get. Kenya is home to the “Big Five” game animals — lions, African elephants, Cape buffaloes, leopards, and rhinoceroses. On your journey through Kenya in search of wildlife, you’ll not only see the Big Five, but many more, including zebras, giraffes, and cheetahs to name a few. Climb Mount Kenya: At 5,199 meters, Mount Kenya is the highest point in Kenya and the second highest point in all of Africa. Several tracks allow visitors to hike up to 4,000 meters to see stunning panoramic views. Trails to the almost vertical top are also available for trained or experienced hikers. Even if hiking isn’t your thing, simply viewing the mountain and surrounding landscape is a spectacular site to see. Stop by a traditional tribal village: Many African tribes still live the same way that their ancestors did thousands of years ago. The most famous of these tribes are the Masai, who are known for their colorful jewelry and body paint. While visiting one of these villages, you’ll have the unique opportunity to interact with local tribes people and experience a different way of life by participating in traditional activities, such as African dance. Visit Nairobi: Kenya’s capital city offers a variety of exciting happenings for tourists. The metropolitan area contains a diverse mix of people, shops, and restaurants in addition to bustling markets and a lively nightlife. For a shopping opportunity with a special twist, visit the Kazuri (means “small and beautiful” in Swahili) Bead factory, which provides employment, health care, and other services to more than 300 mostly single mothers. And don’t miss the Langata Giraffe Center, established to protect the endangered Rothschild Giraffe. For more information about what it’s like to visit Kenya, visit check out our tours. Tax season is officially over and you might be expecting a refund check in the near future. The average person will receive a tax refund of about $2,755, according to the IRS, which can come in handy if you want to get away on an international vacation. To help, I’ve broken down a few suggestions for where you can travel at a few different price points. A Taste of China or Beijing & Tokyo. Visiting China is the trip of a lifetime for travelers interested in exploring a culture truly different from their own. The country has impressive modern achievements and an ancient, rich culture. Beijing, China’s capital, and Shanghai, often called the “Paris of the East,” are two of the most dynamic cities in the world. And Xi’an, a large industrial city, is the site of one of the world’s most important archaeological treasures: the army of 2,200-year-old terra-cotta soldiers buried to protect the tomb of the first Qin emperor. 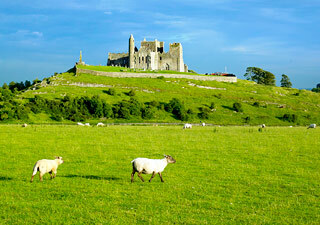 A Taste of Ireland or Discover Ireland. As I’ve said before, whether you have Irish roots or just a love of Irish culture, there has never been a better year to visit Ireland. That’s because The Gathering, a year-long celebration of Irish ancestry with clan gatherings, festivals, sporting events, music, and concerts, is going on this year. This event only adds to the lush countryside, friendly and wonderful people, and the array of beautiful destinations — Dublin, Kerry, Killarney, Kilkenny, Limerick, and more — in Ireland. Kenya. Although June through September is the rainy season, the great migration of animals that cross the Serengeti occurs during this time, making it well worth the trip. Travelers will be amazed to see the plethora of wildlife as the animals take part in their annual search for water and a mate. Think of it as the best safari ever, unfolding right before your eyes. Ireland. Pleasant weather during the summer allows travelers to enjoy the lush, green scenery that this country is known for. The friendly, outgoing Irish people will make you feel right at home, and travelers will have more chances to take in all of the attractions, as they have the longest operating hours during the summer. 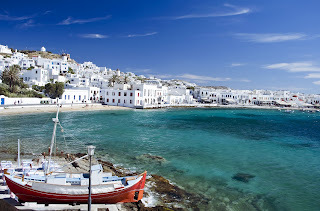 Greek Islands. This summer is a great time to visit, as travelers can take advantage of the many bargains being offered to attract tourists. 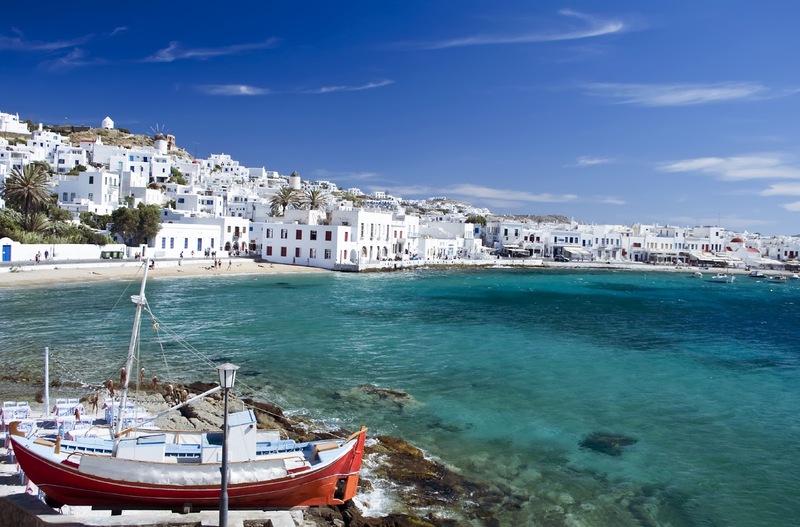 Although Greece is experiencing unrest and a problematic economy, the exquisiteness and charm of the most beautiful islands that exist anywhere in the world remains unchanged. Italy. Though a great year-round destination, some places are better visited in the summer. Tuscany is lavishly fertile, with vineyards and olive groves as far as the eye can see, delectably fresh food, and magnificently endless panoramas and rolling hills. Venice and Florence are also great to visit in the summer, thanks to many outdoor performances and festivals. The Amalfi Coast and Sorrento, aka the Sunbelt of Italy, is home to some of the most beautiful towns, dramatic coastlines, and stunning panoramas in Europe, and should not be missed. There’s also nothing like enjoying a summer evening outside at one of the countless restaurants with a delicious Italian meal, glass of wine, and good friends. If you’re interested in booking a trip to one of these destinations, or would like to speak with a member of our reservations team about other fantastic summer getaways, you can reach us at 800-555-5765. 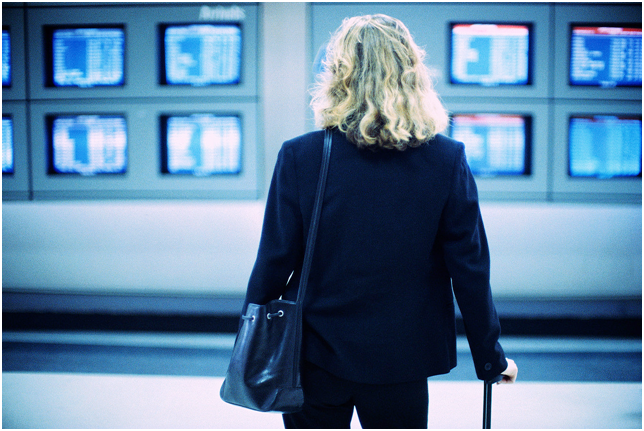 Where are you traveling this summer? Let me know your top choices in a comment! What’s better than the Big Apple? Winning a free trip to Kenya or India while in the Big Apple! 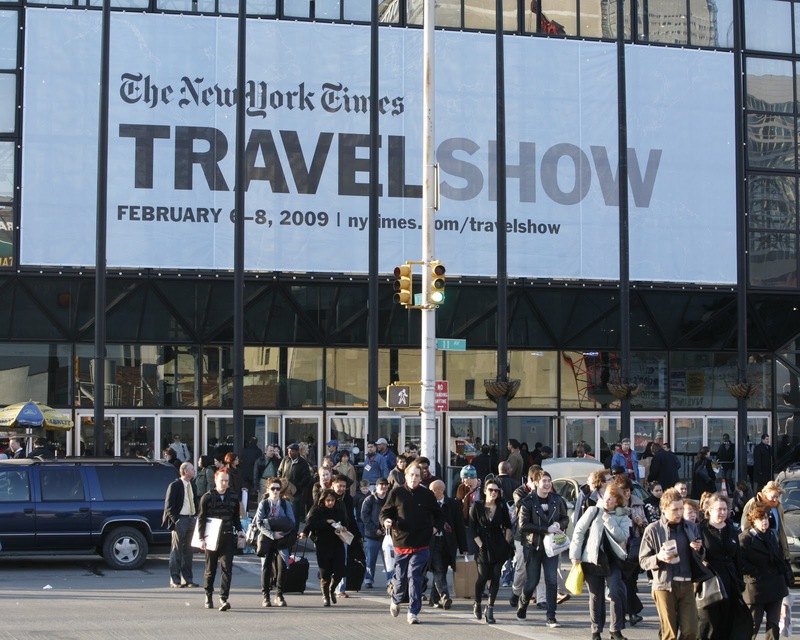 Friendly Planet Travel is heading to The New York Times Travel Show this weekend to give attendees the chance to win a free trip for two on our Kenya Safari Express or Taj Mahal Express. And that’s not all. We’re also giving away a Nikon S8100 digital camera. To enter to win, stop by Friendly Planet Travel’s booth, #276, at the Jacob K. Javits Convention Center. The winners will be randomly selected and announced right here on the blog on Monday, Feb. 28. In addition to our giveaways, I’ll be presenting “Five Exotic Locations for the Price of a Vegas Weekend” on Sunday at 11:30 a.m. on the Europe stage. Stop by and I’ll tell you all about the exotic spots around the globe that offer your family an unforgettable experience of a lifetime for the cost of the typical trip down the shore. Back at our booth, we’ll have tour information, snacks, an international slide show with images of the places we visit, and show-only discount coupons valid for many of our tours. You’ll have a chance to win other great prizes just by spinning our Friendly prize wheel! I’ll also be on hand as well as other Friendly Planet Travel experts to answer all your travel questions. And if you’re ready and find your dream trip while you’re at our booth, you’ll be able to book on the spot using our online booking engine. As you can see, we have a lot planned for this show. If you still need to buy tickets, you can get them online. Adults are $15 and kids under 18 are free. For just $15, you could win a trip to Kenya, India, or a camera in a New York minute. And that’s in addition to the spectacular performances and activities planned for show visitors. 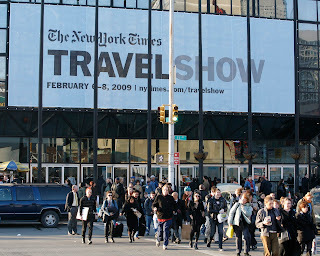 The New York Times Travel Show is one of the premier travel shows in the country. There are over 300 booths in addition to Friendly Planet Travel’s, but I have a special spot in my heart for booth #276! But let’s get back to the good stuff — the prizes! Here are more details. The Kenya Safari Express takes travelers to the Masai Mara and Samburu game reserves where Africa’s big five game walks right past you. 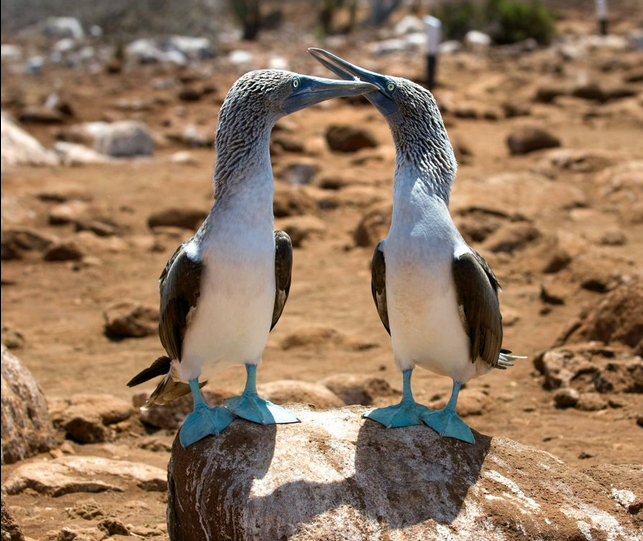 You’ll experience Africa’s sweeping vistas, teeming cities, and magnificent wildlife. Get the day-by-day details of the trip in my previous posts about Kenya. 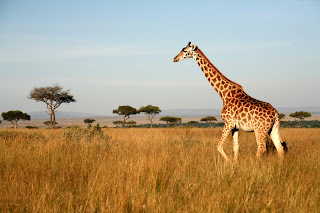 Included are roundtrip airfare from New York’s JFK airport on award-winning Emirates Airlines; accommodations at deluxe hotels and superior safari lodges; game-viewing drives with experienced game spotters with a guaranteed window seat and access to a pop-up roof hatch; a boat safari on Lake Naivasha; comprehensive sightseeing tours in Nairobi by local, English-speaking guides; all transfers and land transportation; many meals, and more. The Taj Mahal Express tour take you on expert-guided tours of the Taj Mahal, Fatehpur Sikhri, Jaipur (known as the “pink city”), and the Amber Fort, with an ascent on elephant or a Jeep. You also get a one-day tour in Delhi that takes you to its most important sites, such as the Laxmi Narayan Temple, Raj Ghat, the Red Fort, and more. There’s much more, but you can read about it in my recent posts. The tour includes roundtrip airfare from New York on Emirates; superior first-class hotels; daily buffet breakfasts; an authentic Indian farewell dinner in Delhi; expert guides throughout the journey; fuel surcharges, transfers, and much more. The Nikon S8100 features a 3-inch, high-resolution clear color display. It has 12.1 megapixals with a 10X wide Zoom-NIKKOR ED glass lens, covering 30-300 mm. It also comes with Optical VR Image Stabilzation, high ISO sensitivity to 3200, and a new flash control system. Plus, you can record full 1080p HD movies with stereo sound. I hope to see you this weekend! And if you can’t make it, we’ll be recapping the whole show right here on the blog. I told you earlier this week that all Friendly Planet Travel tours to Egypt are temporarily suspended until the situation in Egypt has been resolved and it’s once again safe to travel. We’ve been working hard to create a number of options for travelers scheduled to travel to Cairo as an extension of another tour or who have booked a tour to Egypt. 1. Travelers on our Dazzling Dubai and Cairo tour can replace the Cairo extension with Kenya or any other extension we can offer without any change fees. 2. At present, we have not concluded other extension possibilities, but we are working on several and will have some great suggestions shortly. Be patient with us while we work on this. 3. Anyone who prefers to cancel the whole trip at this time can do so. Presently, Emirates is waiving cancellation fees through Feb. 28. If the situation continues, they might continue to waive fees beyond Feb. 28. Friendly Planet Travel will not charge any cancellation fees for those who simply wish to cancel. Refunds in full will be granted. If you’ve booked the Pyramids and Nile Cruise or the Pyramids and Petra tour, please consider the following options below. Once you decide how you’d like to proceed, contact us via e-mail. We need the change in travel plans in writing from you. 1. If you are traveling in February, March, or April and want to move from your scheduled Egypt tour to any other Friendly Planet tour that is available, let us know which tour you want to take. We’ll rebook you. If the tour you want shows “sold out,” please call us at 1-800-555-5765. We’ll make every effort to try and accommodate you, even at the last moment. 2. The amount you paid toward your Egypt tour will be transferred to your new tour. If the cost of the new tour is less, you’ll receive a refund for the overpayment. If the new tour is more, we’ll bill you for the difference. 3. If you are traveling in June or later and you wish to wait and see how the situation in Egypt evolves, you can do so without risk of losing your deposit by cancelling or changing destinations at a later time. Furthermore, your travel insurance is fully transferable to another tour, so you can move the coverage you purchased for the present tour to a future tour without any penalty or disruption in coverage. 4. If you want to cancel your tour, let us know. We will refund your deposits and payments in full. We regret not having you with us at this time, and we hope that you will decide to join us in the future. If you have any concerns, call 1-800-555-5765 and ask to speak to one of our reservationists. I understand how upsetting it can be to know that the vacation you’ve waited for might have to be rescheduled or relocated somewhere new. But I promise that we will work our hardest to find you something that will be an extraordinary experience. Bookmark our “protests in Egypt” tag to stay up to date on the latest news coming out of Egypt. I’ll continue to post updates on the blog, Facebook, and Twitter. If you’re a nature lover, you probably have the National Geographic Channel set on your DVR, I know I do. This Sunday night, I’m looking forward to its new new seven-part series, “Great Migrations.” It will cover the annual journey millions of animals take to ensure the survival of their species. One migration that I’m very excited to see, which centers around Kenya and Tanzania, is that of wildebeest. Their annual migration is considered one of the most spectacular in nature. Over a million wildebeest, along with 450 other species of wildlife, make the circular migration year after year. 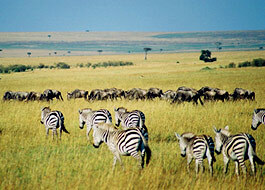 Friendly Planet Travel offers several tours to Africa where these migrations take place. 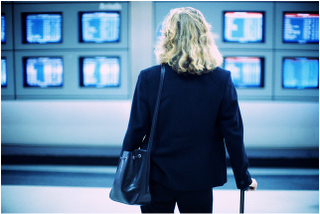 Travelers frequently ask me about when and where they occur, so I thought I’d take this opportunity to tell you a little bit more about it. Wildebeest are herbivores and need to graze constantly. As a result, they move as the seasons change to find fresh land and water. In Tanzania, the wildebeest herds gather in the Southern Serengeti. During the rainy season in April and May, the herds begin their migration northward by heading west first. The wildebeest herds move to the flourishing grasses and open woodlands of the Western Serengeti, whose sweeping vistas make it the best place to watch the migration unfold. This is also the time when the wildebeest mate. By June, the herds are heading north towards Kenya. One of the most breathtaking sights of the migration is that of the herds congregating to cross the Grumeti River in Tanzania and the Mara River in Kenya. From July to September, wildebeest tackle the strong currents and the crocodiles that wait for them in the waters. For tourists, it’s amazing to watch the lions, leopards, hyenas, and wild dogs follow the herds. Unfortunately, a quarter of the wildebeest won’t make it, falling prey to predators or drowning in the rivers. By the time November rolls around, the wildebeest return south to the Serengeti plains to give birth to their calves. Until the end of March, this is the perfect time to see almost a half million calves running with their mothers. The sight of the mothers and their young also attracts predators, including lions which hunt them as prey. Then the migration begins all over again. The wildebeest migration is often spontaneous because it revolves around the weather. If the rainy season starts earlier, so does the migration. But no matter when it starts, their migration is an integral part of Africa’s ecosystem. Wildebeest crop the grasses, fertilize the soil, and serve as food for predators. It’s important for people to understand this, and I’m sure “Great Migrations” will let us enjoy a view of their incredible journey as never before seen. That is, unless you are lucky enough to join us in Africa to see it for yourself, in person. So I’ll be tuning in Sunday night. Will you? If you do watch it, let me your thoughts in a comment on this post. A picture is worth a thousand words is cliché but true. When I look at photos from my adventures around the globe, it always brings back a flood memories and stories. 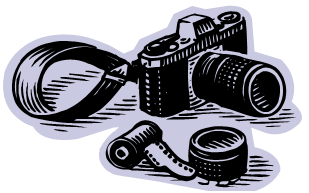 I was talking to Trae Roberts, Friendly Planet Travel Reservations Manager, about photography and he offered some great advice on what type of camera or lens you should bring with you on vacation. He gave some great tips, so I asked him to jot down his ideas for a guest post. Keep reading to get Trae’s tips on how to get some great shots when you travel. And if you have some of your own photography advice, please share it in a comment on this post. My best advice is to get a large memory card and click away. See what sticks, and make sure you don’t eliminate pictures based on how they look on your camera’s screen. Upload them to a computer that has a large monitor to see if the picture is a keeper. If you’re interested in animal/bird viewing, then I recommend using at least a 300 mm camera lens. The large SLR cameras might be a pain to carry, but so worth the reward! Your pictures will come out crystal clear and the range you get is fantastic. To eliminate the need for a tripod, any lens you purchase over 200 mm must have vibration reduction (or equivalent) in order to reduce movement blur. Most experts suggest spending more money on the lens, more so than the body of the camera. I prefer Nikon for its ease of use, quality, and durability. I’ll leave you with these last two tips. Anyone using a camera in a dusty environment, such as Kenya, Egypt, Morocco, etc., should not make it a habit to change their camera lens. Dust and dirt are the worst things for a camera body, and changing lens leaves you vulnerable in environments like these. And most importantly — bring extra batteries! It might have taken me thirty years in tourism to do it, but I’m ecstatic to report that I’ve created my dream travel deal. I’m going to say it’s a miracle of tourism packaging. And that’s saying a lot considering I’ve been to the ends of the earth and back (yes, including Antarctica). 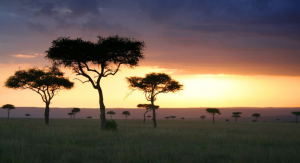 For the first time ever, Friendly Planet is offering the eight-day Kenya Safari Express for only $1,899. There has never been a safari tour with so many included excursions or such superior accommodations for a price like this. Typically, an exotic African safari comes with a hefty price tag. We’re talking $3,000 to $5,000 and right on up. But this unbelievable deal opens the door for more travelers to see majestic Africa’s sweeping vistas, teeming cities, and magnificent wildlife. The experiences we’ve packed into this tour will leave your head spinning. During a day in Nairobi, you’ll reach out and touch elephants at the Daphne Sheldrick Elephant Orphans’ Nursery and feed giraffes from the palm of your hand. At Lake Naivasha, home to over 400 species of birds, you’ll tour by boat while hippo, giraffe, buffulo, zebra, and waterbuck watch curiously from the shore. The photogenic plains of the Masai Mara game reserve are like something out of a movie. During two action-packed days of game drives you’ll see Africa’s big five game: lions, African elephants, cape buffaloes, leopards, and black and white rhinoceroses. They’ll be so close you can leave the zoom lense at home. And in true Friendly Planet tradition, you’ll have the chance to mingle with the locals. Spend an afternoon with the friendly, indigenous people in a Misaim village, and get a feel for life on the plain. As always, the hotel and lodge accommodations are top notch, bringing a touch of luxury to the region’s natural beauty. I can say from experience that there’s no better way to relax after a day bumping over the landscape than lounging poolside with a cold drink. Didn’t cross enough things off your bucket list during eight days in Kenya? An optional three-day extension to Dubai will take care of a few more. Experience the intersection of traditional Islamic culture and contemporary luxury in one of the world’s most talked about tourist destinations. Stroll through the narrow lanes of the Bastakiya District marketplace, a relic of 900-year-old Dubai. Ride one of Burj Khalifa’s 57 elevators, the tallest building in the world, at 2,625 feet. Dine on an Arabian dhow cruise down Dubai Creek, once the hub of bustling pearling and fishing industries, and today, the best way to take in the twinkling city lights. At night, wine and dine at the luxurious Fairmont Hotel. We couldn’t be more excited about this one. This tour is the perfect example of what Friendly Planet is here to do: offer incredible experiences at incredible value. If I’ve whet your appetite enough, find the full itinerary and all the details on our Kenya Safari Express, plus optional Dubai extension page on the Friendly Planet Travel website. If you prefer to read my interview with Randy Jones to copy down some of his tips about Dubai and Kenya, go for it. Here’s the transcript.